The main reason for coming to the Prague is the incredible amount of jobs available on the market. Boasting the lowest unemployment rate of any European City, combined with a low cost of living, no wonder foreigners are flooding to Prague for a new start. 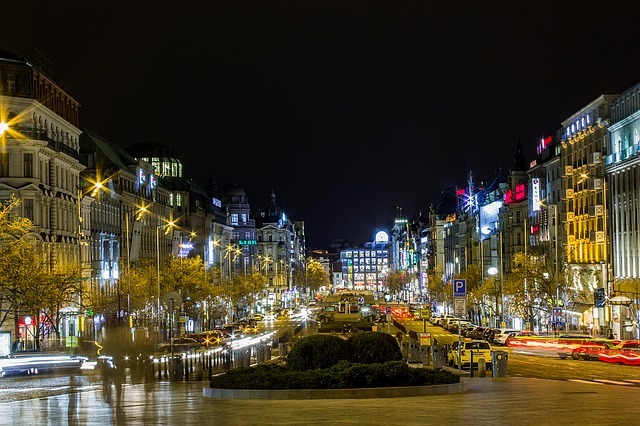 And in terms of getting a foothold in the Czech Republic, the majority of opportunities come from the option of teaching English in Prague, thanks to the language boom that is gripping the country. If you’re a native speaker, then you’re as good as guaranteed to be working right from the off. 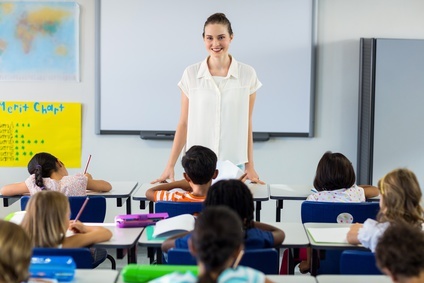 Obviously being lucky enough to be born in the UK or USA doesn’t mean employers will necessarily be falling at your feet, but that’s where the TEFL (teaching English as a foreign language) certificate comes in. Although not the cheapest of endeavours (expect to pay around …..), gaining the qualification is beneficial in a number of ways. First of all, it provides evidence to future prospective employers that you are capable of teaching English in the Czech Republic. Secondly, considering you’ll be moving to a country where you probably don’t know another person, enrolling on a course with fellow expats, who are in the same boat as you, provides the perfect opportunity to make new friends and kick-start this new chapter in your lives together. Thirdly, you yourself do learn some useful things about teaching English in the Czech Republic that will give you confidence and provide a foundation for how you’ll perform in your career here. And lastly, the school where you do the certificate will allow you access to the vast amount of resources available to teach. Shelves upon shelves of textbooks, new and old, ranging from pre-school to business English. The option of being able to print in the teacher’s room is also something that you cannot put a price on, allowing you to collect worksheets and copy pages out of your favourite textbook. There are quite a number of places available to do your TEFL certificate, and it can be a difficult decision to decide on which institution, considering they all seem to offer an identical service. They charge the same price, offer the same course duration, have the same course syllabus, provide the option of housing during the course, and more often than not, they provide a job guarantee for anybody who passes with flying colours. In the end then, such decision making should not be something you lose too much sleep over. 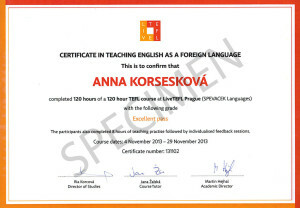 As long as you acquire that certificate and establish a social standing in this City, teaching English in Prague will be a worthwhile choice. How to start teaching in the Czech Republic? And in regards to the job guarantee, it certainly provides a good safety net to guide you through those difficult first weeks in a new country, but by all means, do not think that it is necessary to follow through with. The TEFL organisations and their affiliated language school have a knack for making it seem like you need them, and will be lost in the wilderness unless you blindly accept their job offer without considering the terms and conditions. However, if you begin to consider other options and scout the ESL job market elsewhere, you’ll see that the options are almost endless. There’s a viscous rumour that September and January are the chief hiring months, and applying any other time in the year is a futile effort. This may only be true (half true) when speaking about teaching English in children’s schools, which is, in fact, a small fraction of the amount of English teaching that happens across Prague. Teaching English in the Czech Republic is more than a child’s game. Residents of all ages and all backgrounds are desperate to learn, so picking up classes is achievable throughout the year. The pay is usually based on per lesson, unless you have a fixed contract in a children’s school, which works out around the same wage regardless. Now on to the difficult topic of visas. As an EU citizen, I am fortunate enough to not have to deal with such issues. Coming from any one of the countries within the union, showing up with your passport is adequate to establish yourself in the Czech Republic and do as you please. Sounds too good to be true doesn’t it! However, because my social circle includes a lot of American expats, I’m fully aware of the hurdles that non-EU citizens have to face. Visa applications are lengthy, include a lot of paperwork, trips to various government buildings, and a whole load of emotional strain. You need proof of employment, proof of accommodation, proof of health insurance and proof that you have sufficient funding to live and teach English in the Czech Republic. If this sounds like too much for you to handle, then luckily, most TEFL courses will provide visa assistance, albeit for a significant price. Although definitely useful to have while you deal with other very important things, don’t expect it to be the most efficient process you’ll ever be involved in. Receiving the “Czech treatment” is something to get used to, amongst other things. Furthermore, I’ve heard from those in the know that the visa assistance from TEFL courses are actually overcharging for their services that are available elsewhere for a much reduced price. In regards to this type of marketing, there’s also this kind of deceiving happening in the housing market. The TEFL courses may well offer you housing assistance also, claiming that it’s impossible to do so alone and that handing over the equivalent of one month’s rent is the only way you won’t end up homeless. But thanks to Facebook, there are numerous groups established to advertise rooms, house-shares and apartments independently, dispensing of the devious middle men altogether. The internet is your most valuable resource here, but also in many other areas too. Once you get up and running teaching English in Prague, although you will be supported in your work, don’t expect to be given everything on a plate. The job demands a lot of work both in and outside the classroom, mostly racking your brains about how on earth you’re going to teach that particular piece of grammar. But there are hundreds upon hundreds of websites there to be your saviour, providing worksheets, explanations and fun activities for both children and adults. 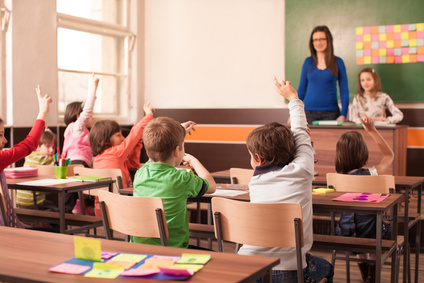 Should I teach privately or work for a language school? One big decision you’ll have to make is whether to work for a designated language school or be a private teacher. Or even a combination of both! The benefit of teaching privately is that you are your own boss and don’t have to work with someone breathing down your neck. Everything is done on your terms. Don’t like early mornings? Nobody does! But as a private teacher, it’s not something you have to live with if you really don’t want to! However, the negative of teaching privately in the Czech Republic is the realisation that your students can (and often will) cancel on you without much warning, and unfortunately there isn’t much you can do about it. Working for an established organisation that allocate the lessons for you brings added security where you’re guaranteed to still be paid for a lesson that is untimely cancelled at the last minute. On the other hand though, this can be offset by the bureaucracy and added paperwork that will inevitably be thrown your way. Perhaps the best solution is a combination between the two modes. Work some hours in a language school where you know you will be paid, while also maintaining some independence with private students, who usually provide more fulfilling and personal interactions. Why you should say YES! Overall, teaching English in the Czech Republic can be a highly satisfying job, but only if you truly have a passion for teaching. People come to this country and begin in this sector because of its easy accessibility but then move onto something else quickly upon realisation that it’s not for them. By all means give it a try, but don’t feel like you’re trapped in that one job. Prague is a City full of endless possibilities and you may just end up living the life here that you never dreamed of.